I had a discussion with a co-worker the other day – I will call him Donnie J – concerning the person of Jesus [the]Christ. We went for quite some time as Donnie believes Jesus to be God. He just looked at me, but I could sense the thought-juices flowing. Surprisingly, Donnie J got my point and conceded that the images we see of Jesus today could not be accurate as there is no way for anyone to know what he looked like. 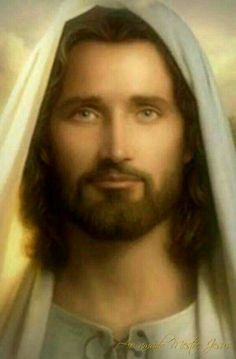 If one were to do a search in Google of the keyword “Jesus” and then look at the “Google Images” what one will find is a collage of images of the one the world knows as Jesus. 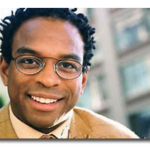 He is primarily portrayed as someone of European descent. One will find a few images of Jesus portrayed as a Black man and even many of those images are simply copy-cats of the European one. There are images of Jesus as a Black man with a dark face but every other feature from his eyes, nose, lips, and hair are European. Yet, these are what they are: Images. They are not Jesus. Here is why? Because no one since the death of the last Apostle would know what he looked like. The presentation of one who no one today has seen would be a “False Christ” or a “False Image” of The Son of God. None of these persons are Jesus. These are simply images. The most disturbing thing about them is that he is portrayed primarily as a person of European descent. The point of the matter is that none of these persons (images) are The Son of God. They are all false because the person(s) creating these images never saw the real Son of Man, Jesus [the]Christ. The point of the matter is that none of these persons (images) are The Son of God. 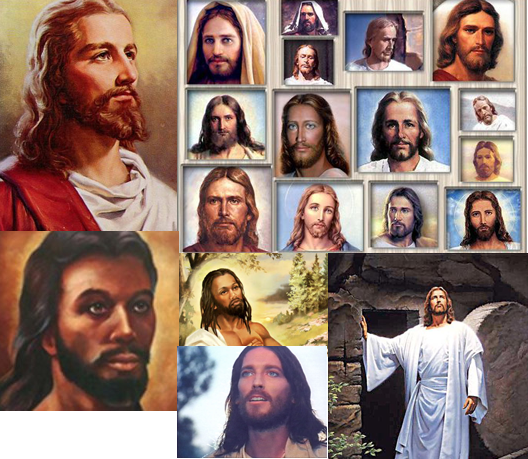 They are all false because the person(s) creating these images never saw the real Son of Man, Jesus [the]Christ. 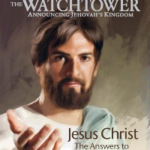 Below (and to the right) is a typical image of how the Watch Tower Bible and Tract Society portrays Jesus [the]Christ. He is portrayed as someone of European descent. Yet, no one today has seen Jesus, so how can one make such an image of him? A more important question would be why would someone present him in this manner? You shall not make for yourself an image in the form of anything in heaven above or on the earth beneath or in the waters below. This Scripture is not referring to just carved images, but of images, period! The one sent by the Most High God is from heaven and currently resides there. Yet, images have been made of him. He is even worshiped as God. The real danger embedded in these false images of Jesus, is the impression they leave on the minds of non-European descent members of the human family, especially children. They grow up having these false Europeanized images of Jesus imposed upon them and they grow up in fear of those of European descent. It amounts to a deification of a particular race of man. I experienced this as a Jehovahs Witness with regard to my daughter when she was two years old. The Watch Tower Bible and Tract Society portrays Jesus in its literature with European-descent features. (As a White man). The same holds true of angels, the Prophets and other personalities in Scripture. 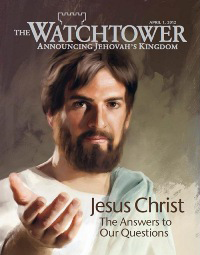 I recall one Sunday morning after the public talk and Watchtower Study meeting (where I was the reader), my two-year-old daughter and I were outside in the parking lot of the Kingdom Hall and an Elder approached me just to say hello and to commend me on the fine reading of the Watchtower article. My daughter looked up and pointed at the Elder and said, “Jehovah.” The Elder was a White man. 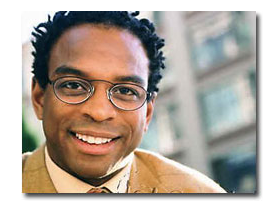 I quickly corrected my daughter and said, “No, not Jehovah, this is Rick (not his real name). This was a wake-up call to me. Yet, religious organization has no problem in continuing on this course of portraying someone they have never seen as someone of European descent in their favor. The Son of God should not be portrayed by anyone as a flesh and blood person because he not a flesh and blood person. He was not such when he was initially dispatched from heaven (where flesh and blood do not reside) and was not flesh and blood when he returned back into heaven after his resurrection and ascension. At present, The Son of God is invisible, and should be viewed and visualized as such; not as a flesh and blood man resembling any race of persons on earth. Since God is spirit and invisible and since The Son of God is also now a living spirit and “The Truth” and it is only through this Son of God that one comes to the Father, it stands to reason it is through an invisible person (The Son of God) that the Father is worshiped. These false visible images of Jesus do not instill or cultivate faith in the real invisible Son of God. What the false invisible images do is deify a particular race among mankind who has taken the lead in misrepresenting the teachings of Christ and portraying him like themselves. Personally, I do not see a visible Jesus. I reject any visible image of him man has created. I view my Master as one who is living and invisible. And my faith, hope, and assurance are in that one, the one who I cannot visibly see. Previous ArticleIs The Bible The Word of God? Next Article Who Is Antichrist According To The Watch Tower Bible and Tract Society? Are They Correct? Who Is The Jesus of Today?